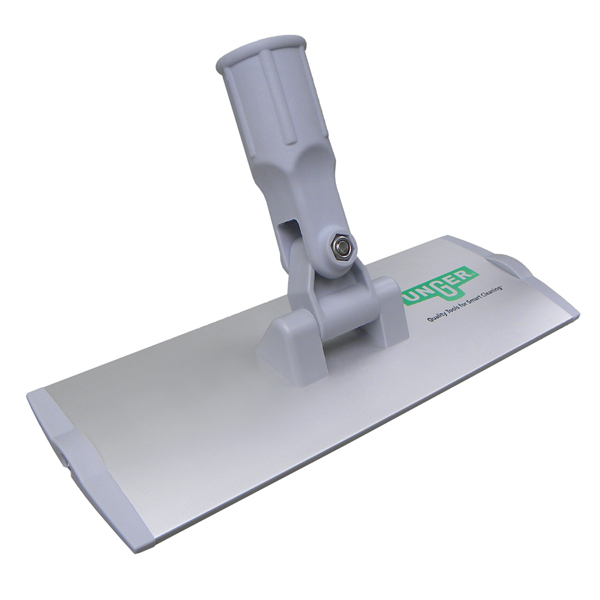 For over 50 years, Unger has created innovative professional window cleaning tools for professionals to clean and maintain facilities across the globe. We continue to innovate to enable faster, safer and more efficient glass and window cleaning to provide value to the services you offer your customers. Our commercial window washing tools, kits, equipment and supplies will help your custodial staff with quick daily cleans, hard-to-reach areas and deep cleaning projects. 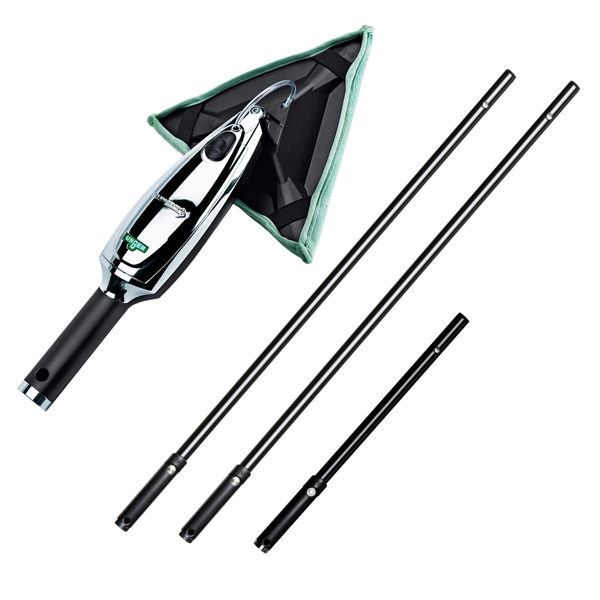 These award-winning professional window cleaning tools have durable microfiber cleaning pads and ergonomic handles. 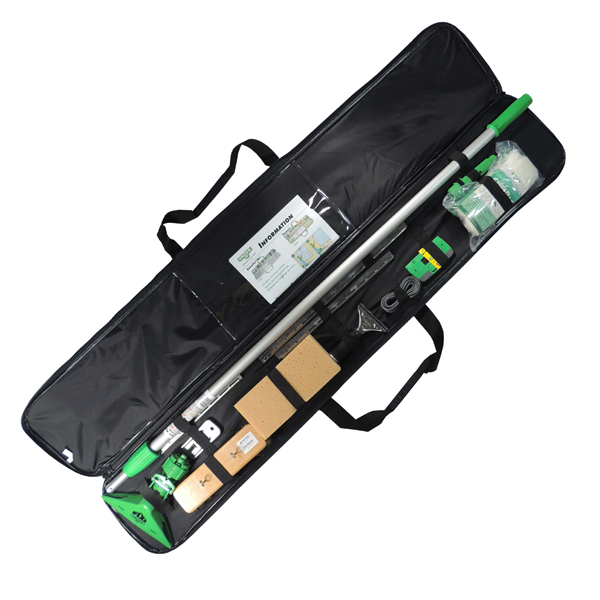 and are capable of extending your reach up to 55’ with the use of nLite telescoping carbon poles. 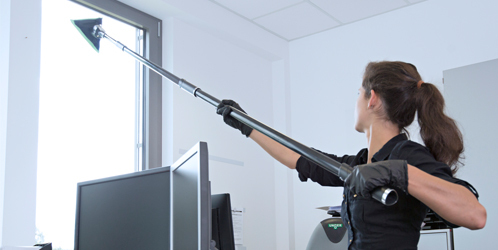 Unger has the tools you need for safely cleaning high access and hard to reach windows without the use of ladders or lifts. Our diverse selection of window cleaning tools guarantee the perfect tool for every job. resulting in faster, more efficient cleaning. They clean 25% faster and use 39% less chemicals than traditional spray and cloth cleaning. The SpeedClean™ Window Cleaning Kit allows users to reach high-access areas and over everyday obstacles to clean windows drip free. By applying commercial glass cleaner to Microfiber Washing Pads or Cleaning Pads, workers give a professional clean to glass surfaces without spilling or dripping water on window sills, frames, carpets or furniture. 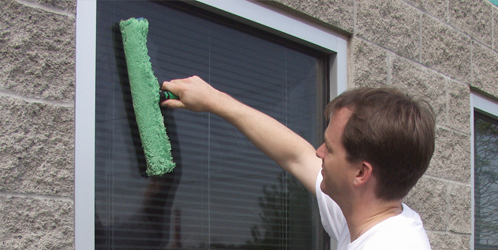 Unger commercial glass and window cleaning supplies include microfiber window washing pads, holders,extension poles, starter kits, window cleaning solutions and more. Unger Stingray glass cleaning system cleans windows 25% faster and use 39% less chemicals than traditional cloth window cleaning. The New Stingray Refillable System allows you to use your preferred window cleaning solution while still gaining all the safety, speed and cleaning benefits Stingray provides. The New QuikPad™ provides even more flexibility, allowing you to clean without having to launder pads. When cleaning indoor surfaces, such as windows, mirrors and elevators, cleaning professionals face two key challenges: efficiency and safety. Current tools lead to time-consuming issues, like re-arranging furniture and reaching high or unusually positioned windows. The battery powered Unger Stingray increases productivity and safety by eliminating time spent moving furniture or climbing ladders. The Unger Stingray tool provides a variety of surface cleaning options, while the multiple lightweight extending poles enable you to clean any height without the use of ladders. Unger's selection of professional glass cleaning tools and supplies contain every detail you need for a complete window cleaning system. 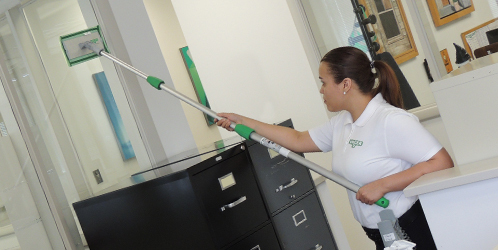 These ergonomic window tools help custodians work faster and safer than ever. Our pad holders securely grip microfiber cleaning and washing pads for a fast, efficient clean. For those hard-to-reach surfaces, choose Stingray extension poles. Whether you need to scrub away tough soils or remove light grime, these professional grade window cleaning tools get the job done!